The reigning monarch of Oz power pop is back with another set of characteristically superb pop songs that showcase Carpenters skill as a songwriter and a producer. 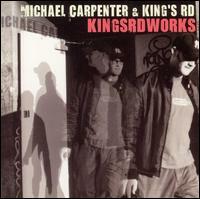 More than that, KingsRdWorks also marks the debut of Carpenter’s backing band viz. King’s Rd, where previously the talented Carpenter played every single instrument himself! The difference is particularly telling in the performance of each song, which is markedly more sinewy, muscular and rustic. And this is apparent right from the dense earthy riff that greets you with the opening “Nothing In The Road,” which recalls the glam-infused rock of Supergrass.